Walt Disney World is one of the largest and most visited theme park resorts in the world. The property covers nearly 25,000 acres and features four theme parks, two water parks, twenty-seven themed hotels, nine non-Disney hotels, several golf courses, two mini-golf courses, a camping resort and other entertainment venues, including Disney Springs, an extra large outdoor shopping, entertainment, and dining complex. The annual average attendance at Disney World is a staggering 52 million visitors. When planning a trip to Walt Disney World, it is important to take into account weather conditions and crowd sizes. You may have to decide between good weather and heavier than normal crowds or fewer crowds and a slight chance of rain showers. 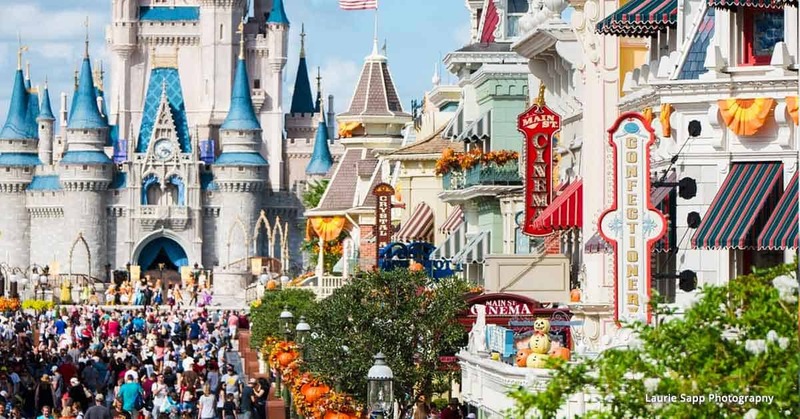 No matter when you plan your trip, it will be magical, despite the crowds or the weather, because Walt Disney World is known as the “most magical place on earth”. Of the summer months, May is the best choice as far as weather and crowds. Most schools are still in session, and the weather, especially at the beginning of May, is usually not as hot or humid, with cooler evenings and a few scattered showers. Most showers in Florida do not last very long and can sometimes be a nice break from the heat and humidity.